1. Preheat the oven. Preheat the oven to 400ºF and line a baking sheet with parchment paper. 2. Prepare the asparagus. Trim the tough bottoms off of the asparagus stalks, then peel the bottom few inches of each stalk. Place the asparagus in a large bowl and drizzle it with the Garlic Gold® Oil. Season with salt and pepper to taste, then toss the asparagus until evenly coated. 3. Wrap the bundles and bake. 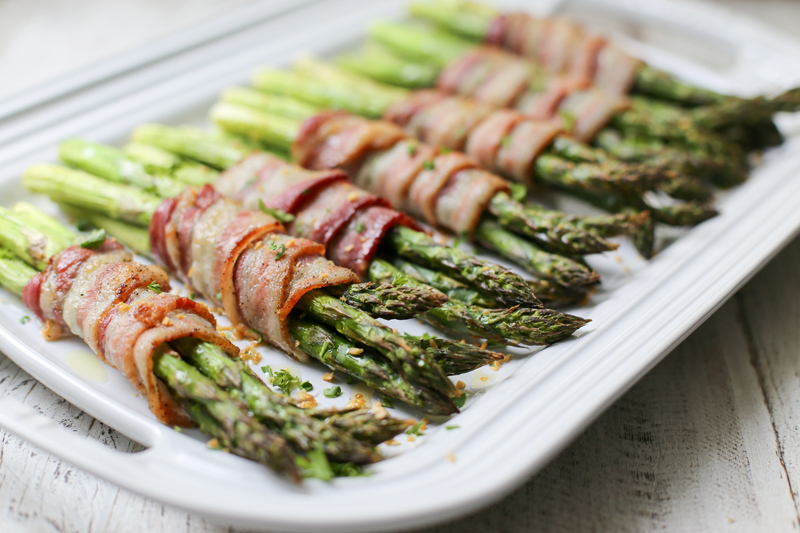 Wrap four stalks of asparagus with a slice of bacon. Lay it on the parchment-lined baking sheet, making sure the end of the bacon strip is on the bottom side of the bundle. Repeat with remaining asparagus. Bake for 25 minutes, until the bacon is sizzling and cooked through, and the asparagus tips are golden brown. 4. Garnish and serve. Transfer the asparagus bundles to a platter or individual plates. 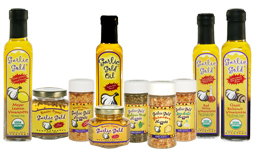 Sprinkle with chopped parsley and Garlic Gold® Nuggets, and serve hot.